EBL Coaching Article -- Is A Specialized School Right For Your Child? Is A Specialized School Right For Your Child? How can you decide if a specialized school is right for your child? Dr. Emily Levy shares the pros and cons of signing up. Your fourth grade daughter was diagnosed with dyslexia and is struggling to read. Your son with ADHD constantly loses his belongings and has difficulty staying focused. Perhaps you have child with a writing disorder, math disorder, or language challenges who is having trouble mastering basic skills. If any of these scenarios describes your child and she is struggling to stay afloat academically, it may be time to explore a specialized school. Let’s take a look at the pros and cons of switching your child to this type of school. There’s no doubt that switching your child to a specialized school will provide him with a great deal of support. He may be in a smaller classroom size with a teacher (or more than one teacher) who is highly trained and qualified as a special educator. If he needs accommodations, like preferential seating, untimed tests, or notes printed for him, he will naturally receive them in this type of setting. Additionally, many students with special education needs often spend a great deal of time outside of school receiving speech therapy, occupational therapy, physical therapy, or the like. In many specialized settings, this support is built into the student’s day, allowing for much more free time outside of school and the chance to be a kid! Socially, some special education students may feel isolated in a maintream school. They might find that they are “different” and can’t relate to the other kids in their class. As a result, poor self esteem, anxiety, and other mental health issues may arise. In a specialized setting, however, students will be with others like themselves, forming a nice camaraderie and bond with one another. For kids with severe special needs, being in a specialized school may help strengthen their academics, help them socially, and make them feel better about themselves overall. While specialized schools are great environments for some students, for others they may not be the best fit. Socially, while some students enjoy being a controlled environment with students just like themselves, others find it a bit too cohesive, and may enjoy being around other kids with different strengths and weaknesses. Some students thrive on this type of diversity. Being in a specialized school, especially for a long period of time, can often lead to challenges transitioning to a mainstream school down the road. Some specialized schools, for instance, may lower their standards to accommodate the academic levels of the student body. Students may get used to these standards and expectations, which can be vastly different from those ‎in a mainstream environment, and thus struggle academically when they switch to a non-specialized school. Specialized schools can also be very expensive and cost-prohibitive to many families. While some government funding may be available, not all students may qualify for this type of funding and not all schools will accept it. The choice between keeping your child in a mainstream environment with special services or transitioning her into a specialized school can be a tough one. If you find that she is able to achieve success and feel self-confident in a mainstream school with services that are helpful but not overwhelming, that may be the best choice—especially for the time being. 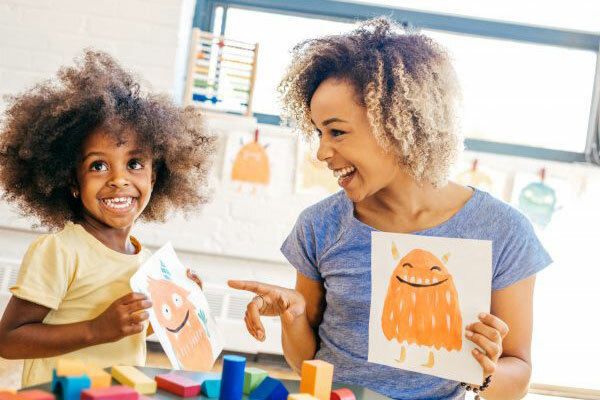 If, however, you find that the amount of tutoring, therapy, and other services outside of school begins to consume her life, leaving little room for “fun” and extracurricular activities, it may be time to explore a specialized school. Ultimately, you know your child best. Assessing the pros and cons of each option, and observing your child’s success or struggles, will help you come to this important decision.